All throughout history, writers have criticized the works of other writers. Sometimes, though, they skipped constructive criticism and went straight for the scathing insults! 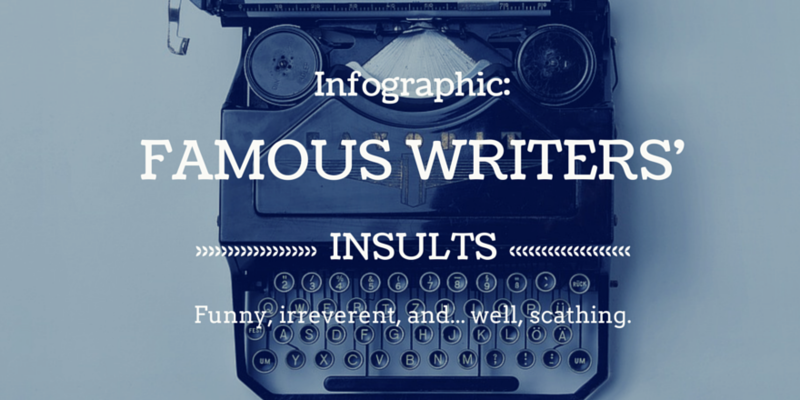 Check out this fun infographic to see what writers such as Truman Capote and Gertrude Stein had to say about other well-known wordsmiths! Infographic submitted by Amy Cowen of AussieWriter.com. Are you interested in submitting an infographic or guest post of your own? Check out our guidelines here to see if your work would be a good fit for our site! Open Invitation for Guest Posts!